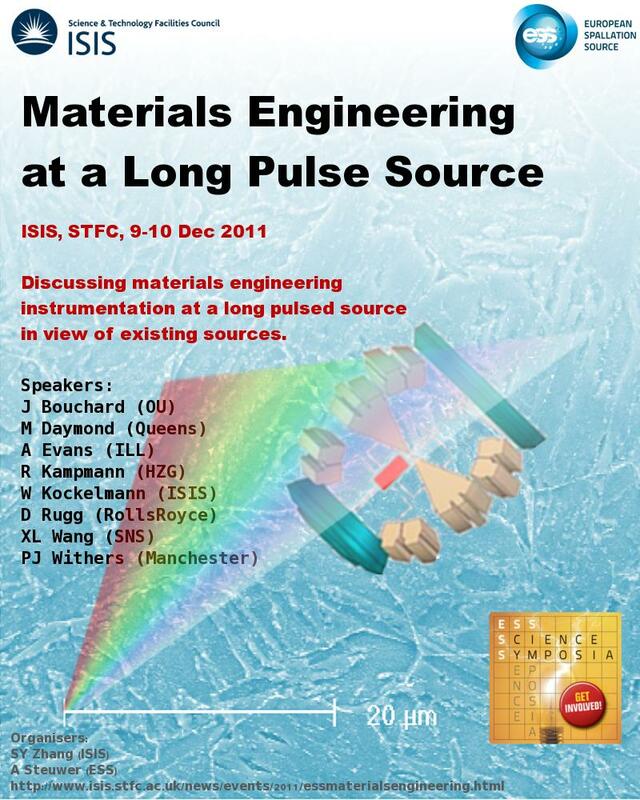 the European Spallation Source and ISIS are organizing a symposium together on "Materials engineering at a long pulse source". The workshop will be held on 9-10 December 2011 at ISIS, UK. Attending the symposium is free, however, registration is required. Registration closes on 30th November at 16:00. Please pass this email to your colleagues who may be interested in the symposium. I look forward to meeting you in the symposium!